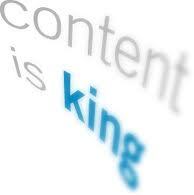 Creating and marketing any kind of content and spreading it, is now as easy as never before. This has been developed by the advent of social networking boom and blogging software that facilitate fast efficient multi-media publishing. Content in our days is not a “content”, if it is not shared! Facebook has approximately 90 billion images, 6 billion images are published every month, and this number is growing! Let’s try to understand social media meaning. Social medial is a content, which consist comments, text, images, videos. It will remind you that content can be any type of media and format. Social media is all that Media in all its formats that was previously hidden on personal computers, consisted in files offline, but now it can be published to a variety of social media platforms that host and make public your previously unpublished media. Let think what should be published and how to find right path, let’s say right content? In our days so easy to create simple video, as the development of inexpensive video cameras with high definition, included in smart phones, becomes the standard feature allow you to create any kind of video content and share it immediately via multiple. People feedbacks, comments about your product, service or store. Presentation is easier to create comparing with Video. Gust link several images together and use your presentation via different sources, share your presentation with colleges, customers or friends, or choose public sharing. You can create different types of presentations. Basically presentation is dynamic slideshow; its marketing rating is much higher than the rating of static image. Your presentations may instruct your customers how to use products and may be applied to your product on online stores. Creating images content is even easier than creating presentation content. High definition images that are well produced can provide high engagement. You can create a masterpiece using Adobe Photoshop or any other editor to attract people’s attention to your company, brand , product or service. Be creative, use high definition cameras to make the best shot. Visually presented concept is the best way of describing what you offer. Photos at events demonstrate active participation in your industry and can provide high credibility through association. Variety of photos of your product are better than text description. Take photo of your staff at work. It can provide a personal insight to a company that humanizes companies which is vital on a social web. Make photos of you business, café or restaurant, spas salon, golf club, to give an idea for your customer what to expect. By providing nice, bright attractive images, you increase your brand recognition and lift your ranting upfront your competitors. Text content is one of the oldest of formats, but it is still one of the most useful and important part of the whole internet content. It is not so easy to create good, concise, clear, well organize text content. eBooks – They are usually 20-100 pages in length. Such resources can be free (in the short form) and maybe sold in the longer format. eBook usually present more complex information than white papers. Case Studies –They are typically 1-2 pages long and with the narrative structure of the a story and are based upon real life events. Usually it describes strategies and tactics of particular business cases. Podcasts: Pre-recorded presentations either by one person or a group. Podcasts discusses a topic that educates and solves problems. Live on-line radio shows with interviews of experts, educational programs, news, podcasts and entertainment programs. Audio is more powerful marketing tool than anybody can expect. People listen audio while doing other things. So audio content suggests more verity and is simple to record and implement. You can boost your sales simply by recording audio instruction to each of your product. You can always describe advantages of your product, using different examples. So Audio content can be used as single tool or accompanied with other content types. Sometimes using a range of formats for the same information will allow you to reach a broader audience. You can use all kind of content form marketing purposes on glabex.com. Glabex is the US’s first free online shopping portal for local independent retailers. Glabex connects the individuality and choice of products from independent shops with the convenience of being able to shop online anytime. The site is made for wide range of businesses retailers to quickly set up online store so that customers can browse and to buy from the shores they trust. Glabex puts business online, giving local shoppers 24/7 access to their favorite brands with all the convenience and benefits associated with e-commerce. There is no more need to run your own online store, simple register and upload your products, accompanied it with variety of different content, like images, videos, presentations. So not think about hoisting or service fees.